Rain forests and ocean views, mountain bike trails and small beach towns, and great paved trails. 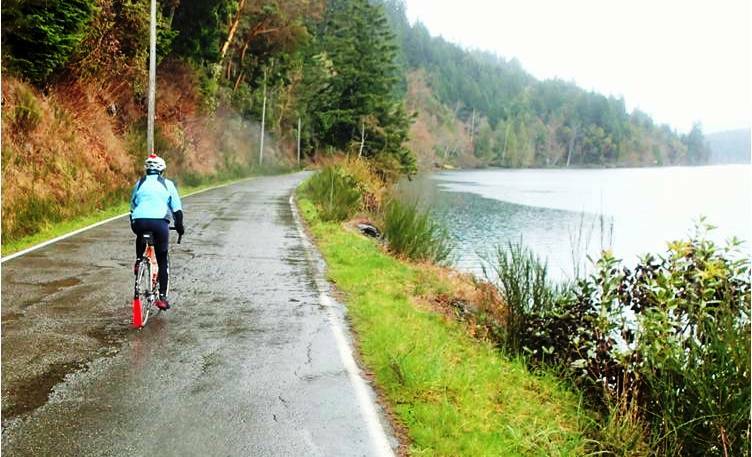 In our Washington state bike tour book: The Olympic Peninsula: America’s Rugged Northwest Corner. Towns: Port Angeles, Forks, Quinault, Montesano, Elma, McCleary, Olympia.